Hello lovelies! A few months ago, The Makeup Examiner had written “Skin care tips for older women,” that was sort of a follow up to “Makeup mistakes that make you look older”. Both articles were well received by readers, but The Makeup Examiner was inundated with emails for more tips. Continuing my research, this led me to realize that there isn’t enough easy to understand information for older women and what product to use once your skin reaches a certain age. What I did find was a plethora of products that promise to reverse time, but sans surgery you are not going to look like you 25 again and why would you want to? Healthy Skin is The First Rule of Beauty: Touching briefly upon skin care, I’ve repeatedly written about adopting a good skincare regime and doing so as early as possible. To the mothers, grandmothers and aunts who may be reading this … please take the younger ladies in your life aside and get them to begin a skincare regime that includes cleansing, toning, and moisturizing with a moisturizer that contains SPF 20! Now as for you, it’s time to revamp your skincare routine and modify it to meet your current skincare needs. 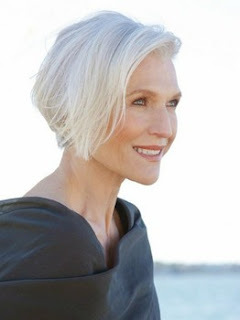 In TME’s article “Skin care tips for older women,” I explain how our skin changes with age and few solutions to the most common problems. The Makeup Examiner loves to get all dolled up, but I generally prefer to enhance versus cover up. As you read through The List, remember … less is more and lovelies, keep the emails coming! Begin with a Beautiful Canvas: You’ve been following your new skincare regime and it’s time to adopt a new beauty routine. Primer is the secret to a flawless face! Primer is applied after moisturizer and prevents your makeup from “laying” in those lines and wrinkles. CoverGirl + Olay Simply Ageless Serum Makeup Primer ($13) is amazing. 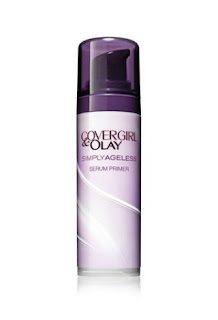 Simply Ageless Serum Primer is formulated specifically for older skin and Olay Regenerist complex in the primer helps boost elasticity … something that our skin looses as we age. The Face Foundation: Mature skin is usually thirsty for moisture, so using a mattifying foundation is going to accentuate any dry patches and all of your fine lines. 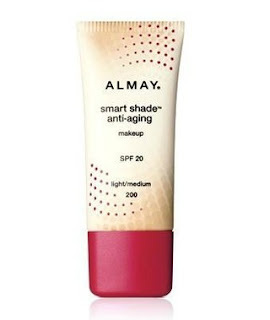 Almay Smart-Shade Anti-Aging foundation SPF 20 ($10) is formulated for all skin types and contains both oil absorbers and hydrators, which minimize the appearance of fine lines and wrinkles. 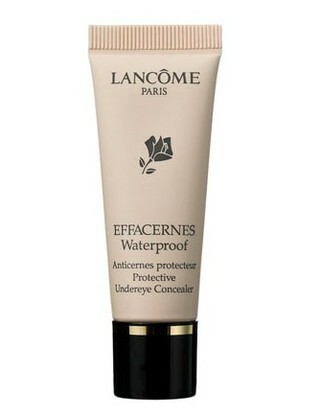 Recognizing that as we age, those dark circles under our eyes seem to get worse let’s visit the concealer. To conceal or not to conceal: Rather than trying to hide circles, a light reflecting formula is the best type of concealer for mature skin. Actually, this is the best makeup trick no matter your age. 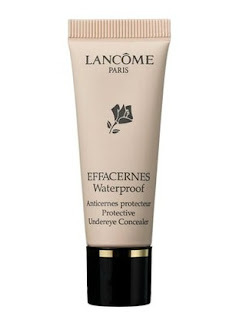 Lancôme Effacernes Waterproof Protective Undereye Concealer ($30) is smooth, creamy, hydrating and slightly illuminating. Getting Cheeky: I’ve never been able to figure out why blush is so difficult for some women to master and it seems that the older that we get, some insane necessity to overdue the blusher kicks in. The objective is to give your face a kiss of color. A gentle sweep or tiny dab is all that you need. 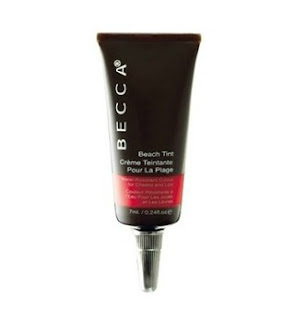 Both my mother and I (with a 27 year age difference) prefer Becca Cosmetics Beach Tint ($30). Its creamy formula is perfect for older skin and a dab of product provides all the cheeky tint that you’ll need. The Eyes Don’t Have It: I know of very few women who don’t love shimmer, but as you age shimmery products are NOT your friends. Opt for mattes and unless you are the Goddess Sophia Loren, go easy on the eyes. Where you apply shadow makes a difference. Try applying the darkest accent color just above the eye crease, switch to a cream versus white highlight shade, and check out the difference in how much brighter your eyes look. Kissable Lips: As we age, we loose volume in our lips and develop lovely little lines around our mouths. Lipstick enhances the look of those lines. Best tricks for perfect lips – Clear lipliner, lipstick (if you must) followed by a clear gloss. Another option is just lip-gloss, which is still available in every color under the sun and tends to keep lips hydrated far better than lipstick. 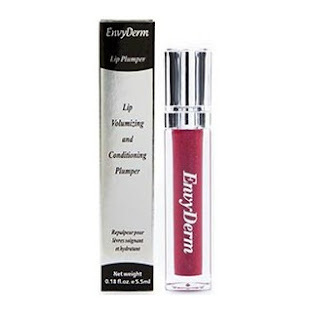 To add volume, try a non-stinging plumper like EnvyDerm ($28).